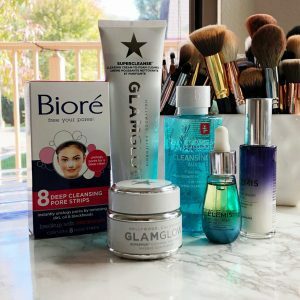 Disclosure: This post is sponsored by HerStyler and Shopping Links. All opinions and results expressed in this article are 100% my own. 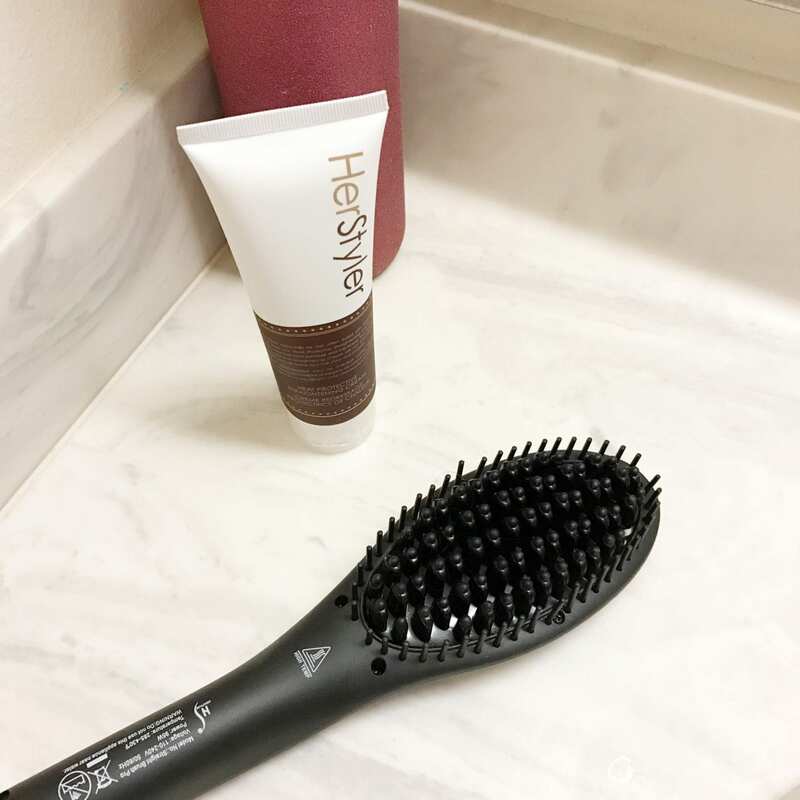 I have wavy thick hair, so when it comes to straightening my hair I like to make sure I use tools and products that help with straightening my hair fast and easy. Now that I have short hair, it makes things a lot easier for me. 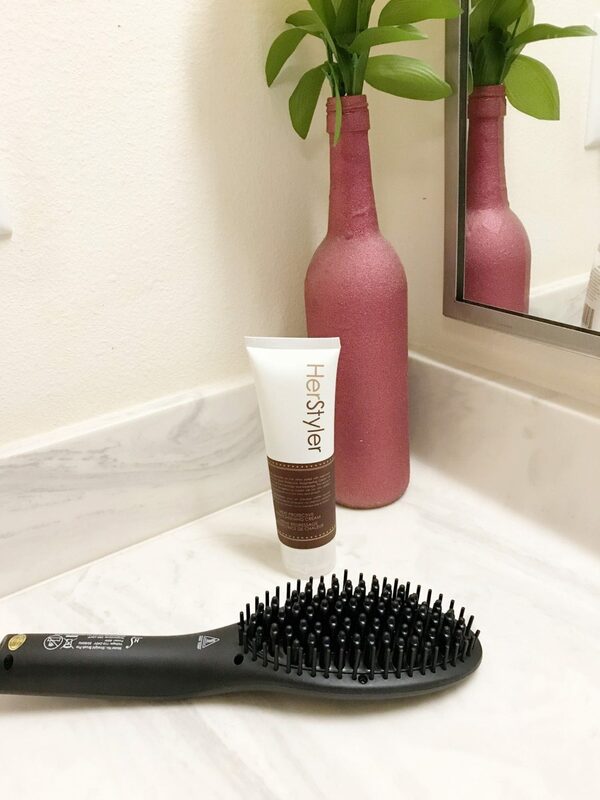 I’ve always used flat irons to straighten my hair but when I saw the HerStyler Straight Brush Pro, I knew I had to try it out. I’ve always been curious to see how good these straightening brushes worked. Now, remember when I said I only wash my hair once or twice a week? 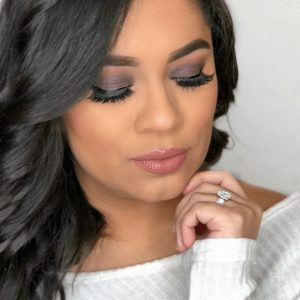 Well during the times I don’t wash my hair, I tend to curl my hair and if I want to straighten out my hair I would have to pull out the flat iron and use my brush. 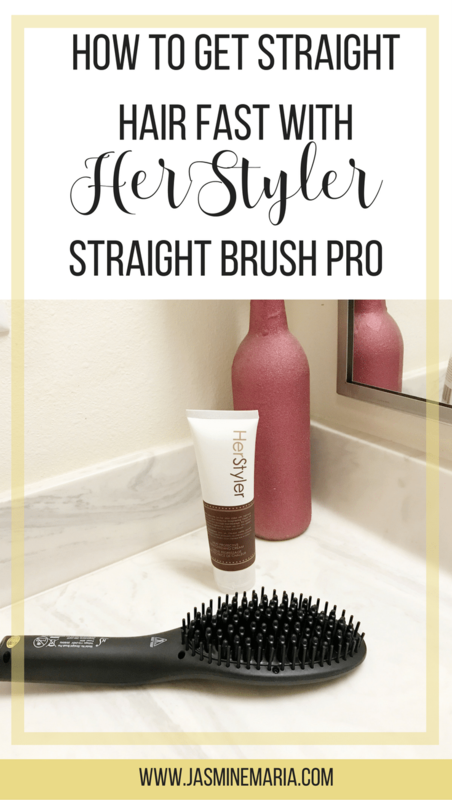 But with the HerStyler Straight Brush Pro, I don’t have to pull two styling tools. Before I straighten my hair I like to make sure I use a heat protector because I definitely don’t want any damages to my hair. 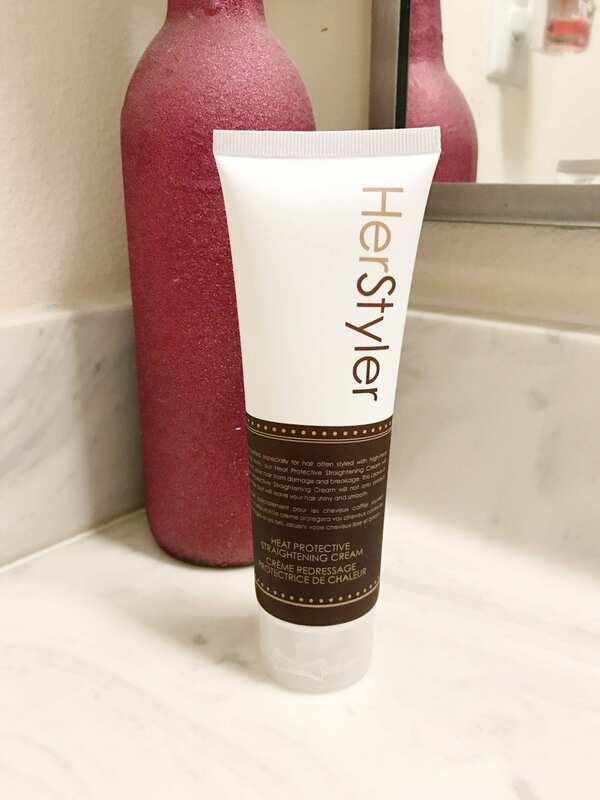 HerStyler has a heat protective straightening cream which is perfect to use with the straight brush pro because it will protect your hair from the heat but it will also give you the sleek straight hair you want. Not only does it protect but it also gives your hair shine and makes it feel smooth. The straight brush pro is a ceramic surface structured bristles emit evenly distributed, gentler, and infrared heat. 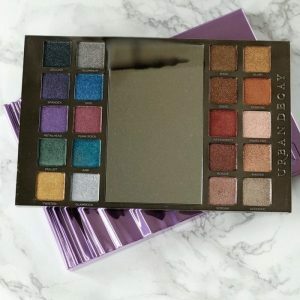 It’s suitable for thin, thick, wavy and curly hair types. The straight brush pro has heating options from 285-430°F.